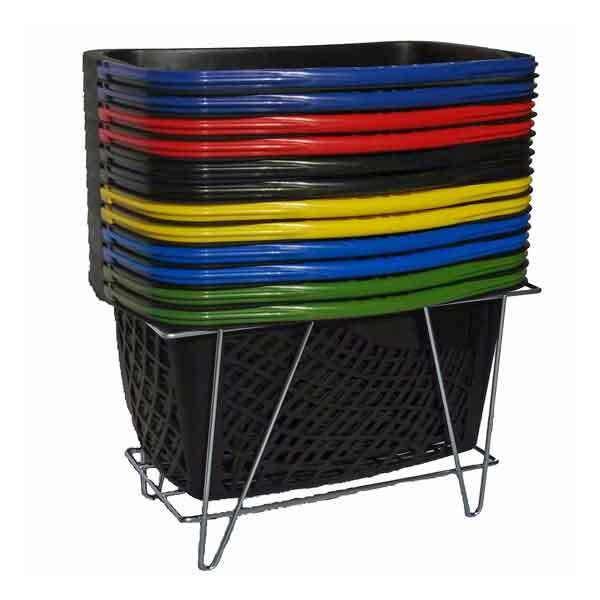 Hand baskets are a staple in both large and small retail stores. 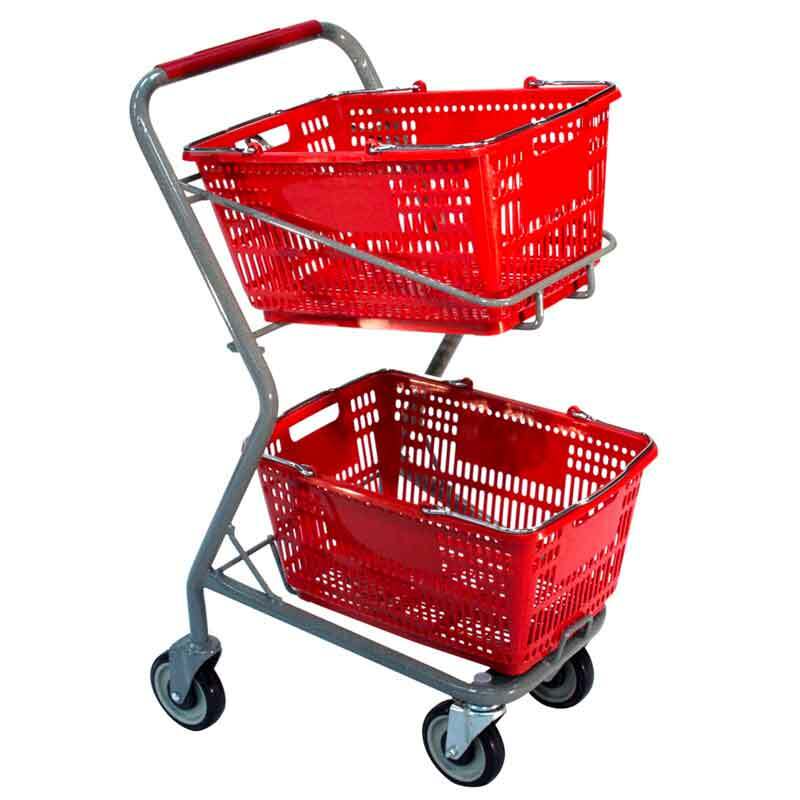 Premier Carts offers a couple of traditional large capacity retail plastic hand baskets that work well alone or when paired with our hand basket carts. We also offer a sylish ergonomic semicircular one handle design hand basket. 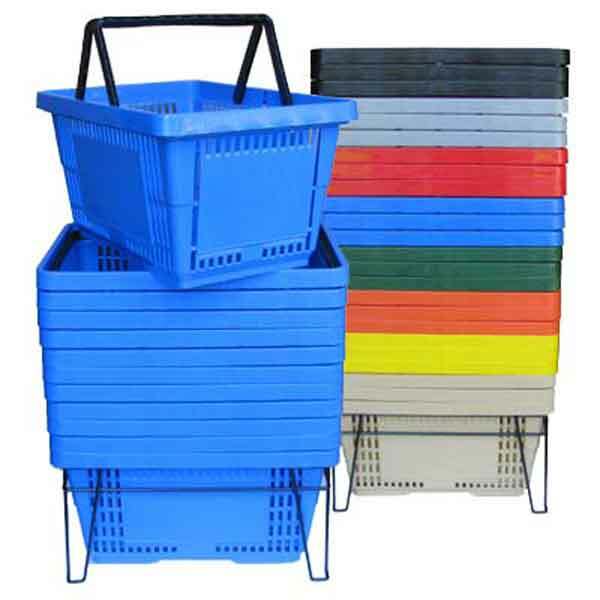 Our plastic retail hand baskets ship directly from the manufacturer. The model HB18W has wire handles and the model HB17P has nylon plastic handles. These two models are available in 4 standard colors and offer the option of basic block printing on the baskets two side panels for a nominal set up fee. 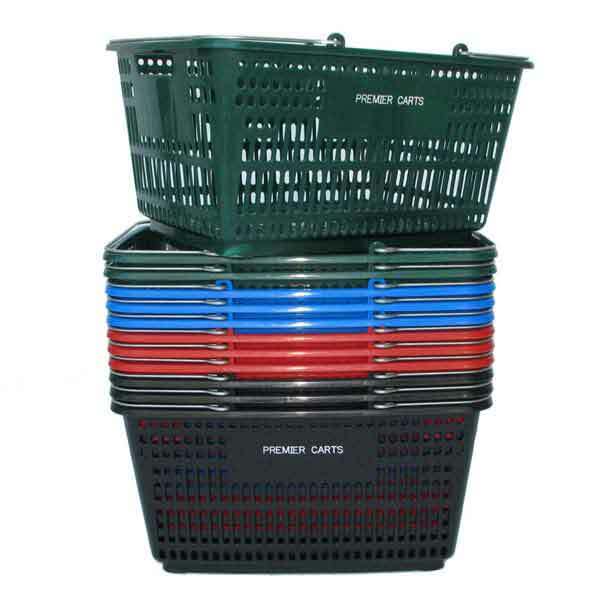 Premier Carts offers a couple of carts designed to carry regular and large size hand baskets. 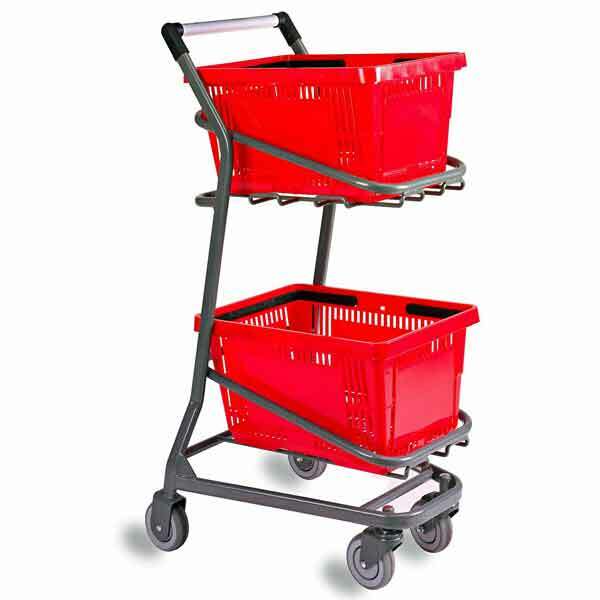 Please refer to our hand basket carts for these small express style carts.